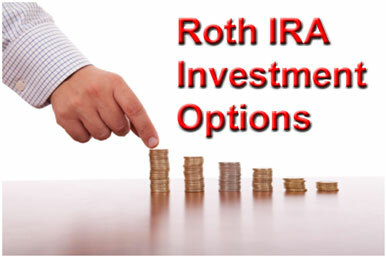 What are your Roth IRA investment options? The answer is... a whole lot. If you're going to stick with stocks, bonds mutual funds, or other traditional financial products such as Certificate of Deposit (CD's), then you don't need to worry too much about this question. But if you plan on braving other frontiers, such as real estate and less traditional Roth IRA investment products, then you need to do some investigation first. Let's take a more in-depth look at these options. Stocks, of course, are the most popular pick for Roth IRA account holders, but that doesn't mean you have to invest stocks or mutual funds just because everyone else does. If you have a well-thought out reason for believing one investment class is superior to another, then by all means, put your money where your mouth is. Doesn't that sound a lot better than putting your retirement future in the hands of a Wall Street investment manager you've never even met? Why can't you invest in these? At the end of the day, those are just the rules. However, it's probably due to the fact that these investment options are less liquid than the ones that are allowed, so the market value is very questionable. For example, IRS rules prohibit anyone from contributing more than $6,000 per year to a Roth IRA. How can they enforce that rule if people are investing in collectibles? Who's to say a painting or an antique is worth $5,000 and not $10,000? The market simply isn't liquid enough for the government's purposes. I've run across a lot of web sites recently which trumpet using your Roth IRA to invest in real estate. The IRS does allow you to purchase rental property and other real estate with funds in your Roth IRA. Because if you invest in real estate the right way, a Roth IRA doesn't provide you with any benefits you don't enjoy already. For instance, let's say you purchase a $200,000 rental property with a $10,000 down payment. Do you owe income taxes on this $100? But what if you sell the rental property? Won't you owe capital gains tax? The law already provides significant advantages to real estate investors when it comes to avoiding income taxes and capital gains taxes. Take advantage of those favorable rules outside of your Roth IRA. Use the tax advantages of your Roth IRA for normally less tax-friendly investments like stocks and bonds.